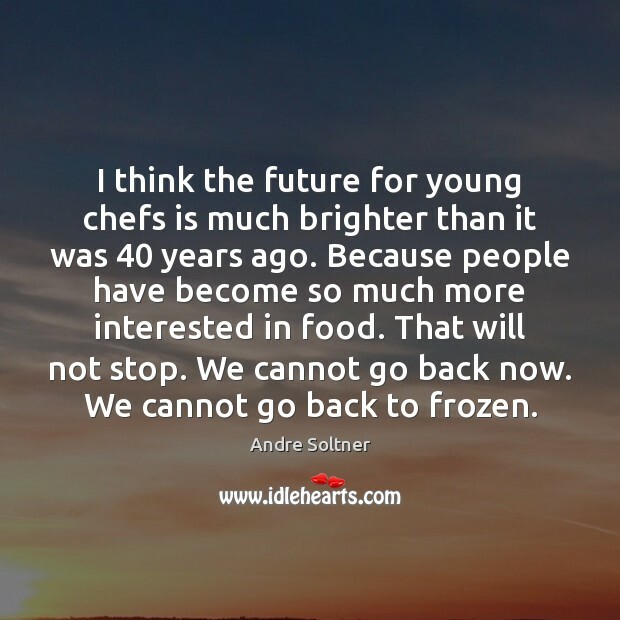 Enjoy the best inspirational, motivational, positive, funny and famous quotes by Andre Soltner. Use words and picture quotations to push forward and inspire you keep going in life! 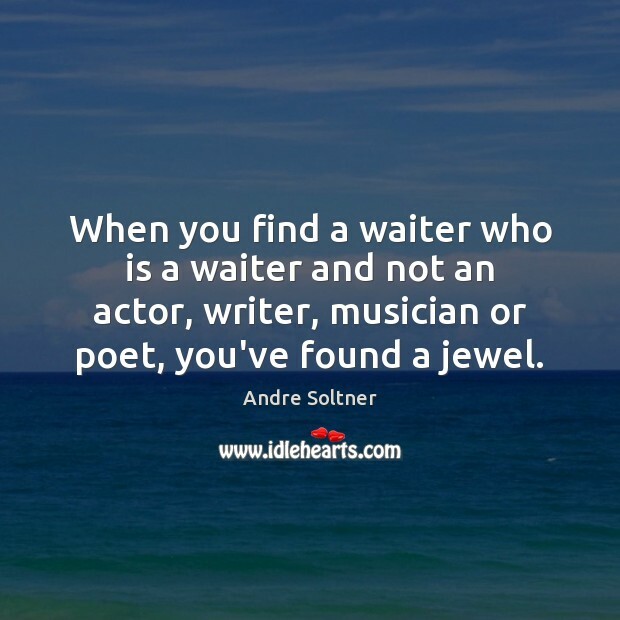 When you find a waiter who is a waiter and not an actor, writer, musician or poet, you've found a jewel. 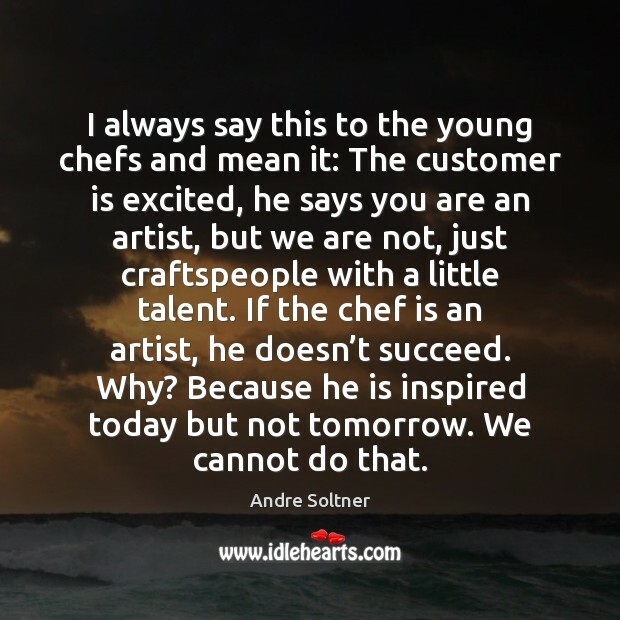 I always say this to the young chefs and mean it: The customer is excited, he says you are an artist, but we are not, just craftspeople with a little talent. If the chef is an artist, he doesn’t succeed. Why? Because he is inspired today but not tomorrow. We cannot do that. 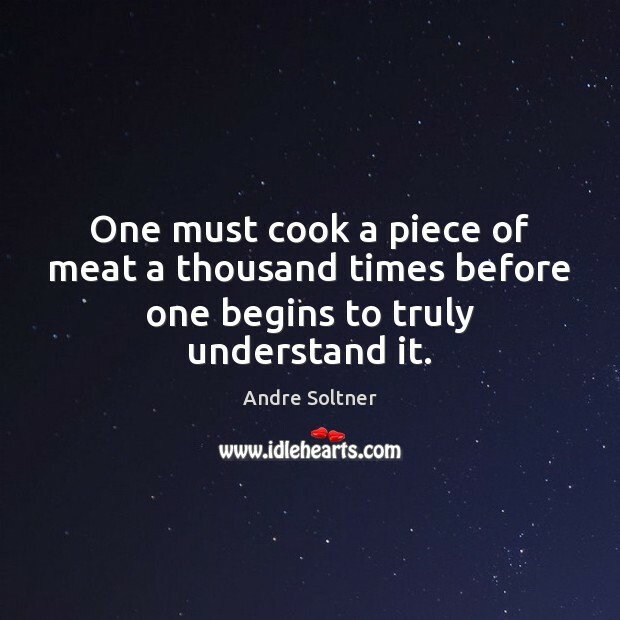 One must cook a piece of meat a thousand times before one begins to truly understand it.